See more objects with the color darkslategrey sandybrown goldenrod olivedrab darkolivegreen or see all the colors for this object. This is a Poster. It is dated 1963 and we acquired it in 2010. Its medium is screenprint on wove paper. It is a part of the Drawings, Prints, and Graphic Design department. 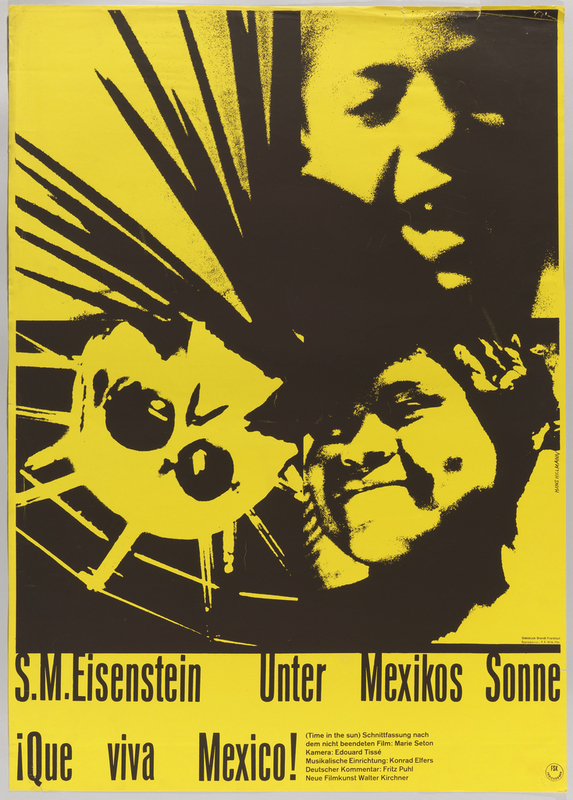 At the heart of Hans Hillmann’s design process is determining how to translate what the designer calls the “time dimension,” or the visual and audio language of film into the two-dimensional poster. Multiple images from multiple vantage points are combined to give the appearance of motion. 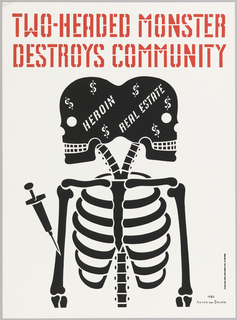 This poster plays with perspective through photography and illustration; the type is a sans-serif, indicative of the Modern style that characterized Hillmann’s body of work.